Three Exciting Ways to Experience our Winery. Take an intimate walking tour through our historic tri-level winery and wine caves during this 90-minute Tour and Tasting experience. 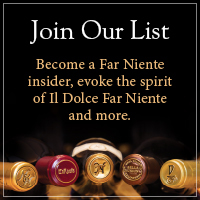 You’ll enjoy a seated tasting of current release wines and end with a taste of the sumptuous late harvest wine produced by Far Niente’s sister winery, Dolce. Although limited to eight guests, you may be joined by other wine lovers during this experience. 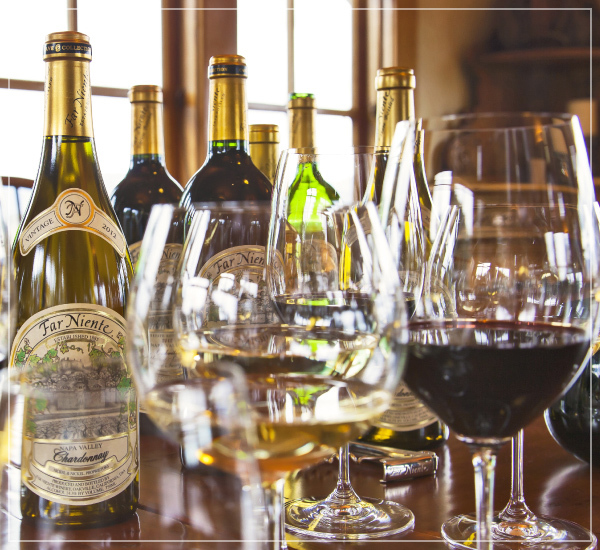 Our Library Wine Tasting allows guests to taste both our current release Napa Valley Chardonnay and Cabernet Sauvignon, alongside our beautifully aged and extremely limited Cave Collection wines. Please Note: This tasting does not include a guided tour of the winery and caves. Delight in our newest vintages alongside hand-selected wines from our family of wineries during our Estate Tasting. 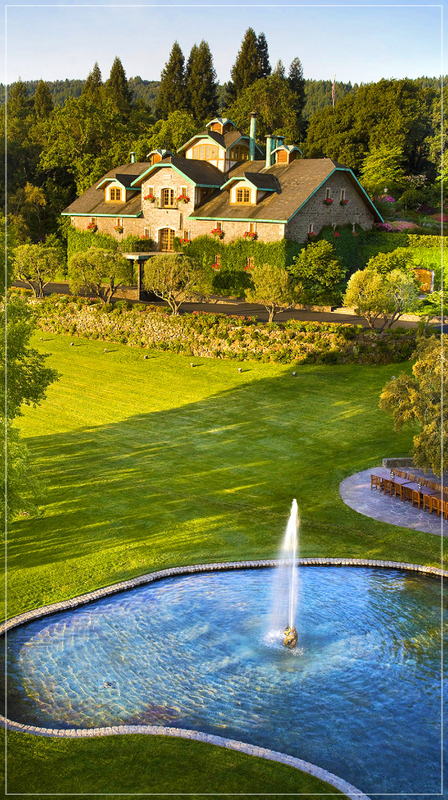 If you are a member of the trade, please contact the winery at (707) 944-2861 to arrange your visit. Monday–Friday only. Don’t see the time slot you were hoping for? Please call the winery for available options. The tour and tasting includes quite a bit of walking and stairs; please let us know ahead of time if you require assistance. We are unable to accommodate anyone under the age of 21, including infants and children. Likewise, we cannot allow pets. $100 per person; $50 per person for wine club members. * Individual tasting fees waived with wine club membership or with each six-bottle purchase. Club members enjoy complimentary Estate and Tour and Tasting experiences, up to a party of four.